Time is definitely money in the wrold of transportation – workflow solutions save time and allow you to operate more safely and profitably. Time is definitely money in the world of transportation – workflow solutions save time and allow you to operate more safely and profitably. Deliveries need to be routed, drivers need to be assigned, and you have to get cargo where it needs to be. For everyone in this industry, you know that time is money. And with razor-thin margins, ANYTHING that can save you time immediately adds to your profit. 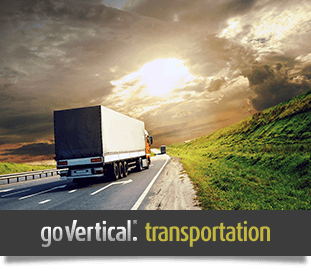 You have multiple reports to manage and file with customers and regulatory agencies, track deliveries, and even shift resources to account for road conditions. You need technology solutions that are easy to use and save you time. 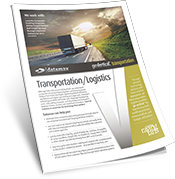 Transportation/Logistics companies go Vertical® with Datamax Arkansas for efficient workflow, faster communication, and an improved bottom line. Isn't it time for your technology to save you time?